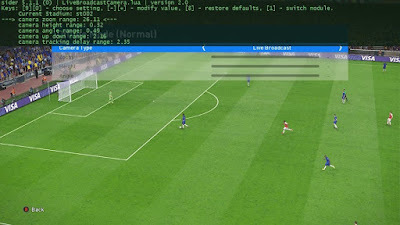 Assign your camera settings to your preffered stadium based on stadium_id. PES 2019 Live Broadcast Camera by MjTs-140914 works with Pro Evolution Soccer 2019 PC Steam v1.01.03. 4. Run Sider.exe & Play your game.